The next generation of Cenon is here! The release 4.0 is a new milestone in the history of Cenon. This major upgrade offers a multitude of important new features and improvements. 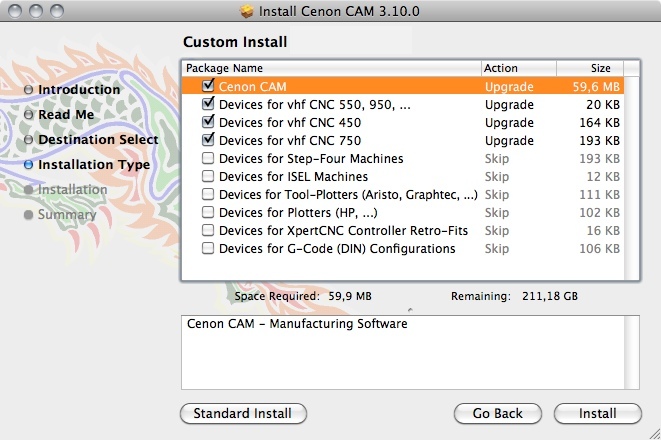 Cenon is the leading Manufacturing Software for Apple computers. It is a state-of-the-art software-tool for manufacturing and enjoys consistent development since it's debut in 1992. Today, Cenon is productive in the ranks of the who is who of manufacturing and industrial production. SVG-Import: Scalable-Vector-Graphics means for you, "manufacturing data right from the Internet"
SVG-Import: "Scalable-Vector-Graphics" reads "manufacturing data right from the Internet"
Millions of vector graphics which you can import right into Cenon, edit as desired, and machine quickly. The industrial production sometimes needs to turn on cooling during machining, flip material, or switch other things automatically. 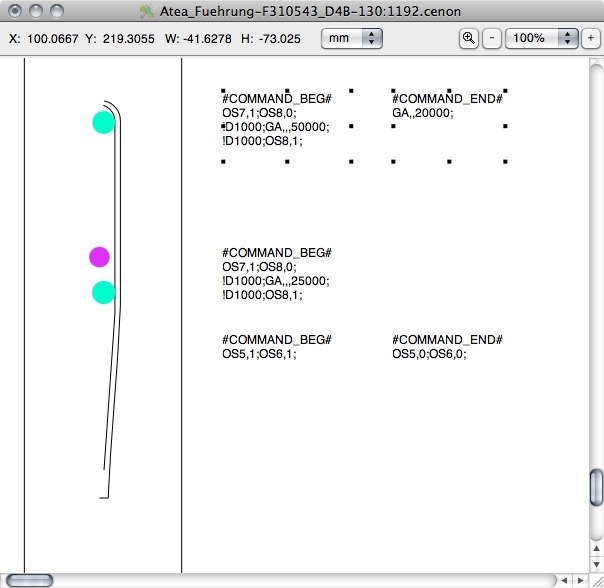 The Embedded CNC Commands allow sending arbitrary CNC Commands before and after every manufacturing step (graphics layer). For example, a leading manufacturer of shower cabinets applies this feature of Cenon in it's production to rotate aluminum profiles automatically, to quickly perform machining from different sides. The printing industry relies on RIP software for large scale printing. These prints then have to be cut into shape... 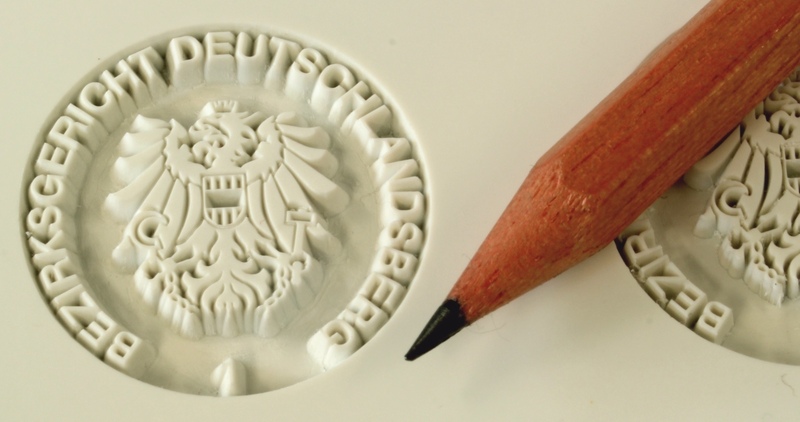 The interface for cutting is often a specialized file format, the i-cut format. Cenon is ready to import this format, which provides the positioning markers and the shape of the graphics in a single file. 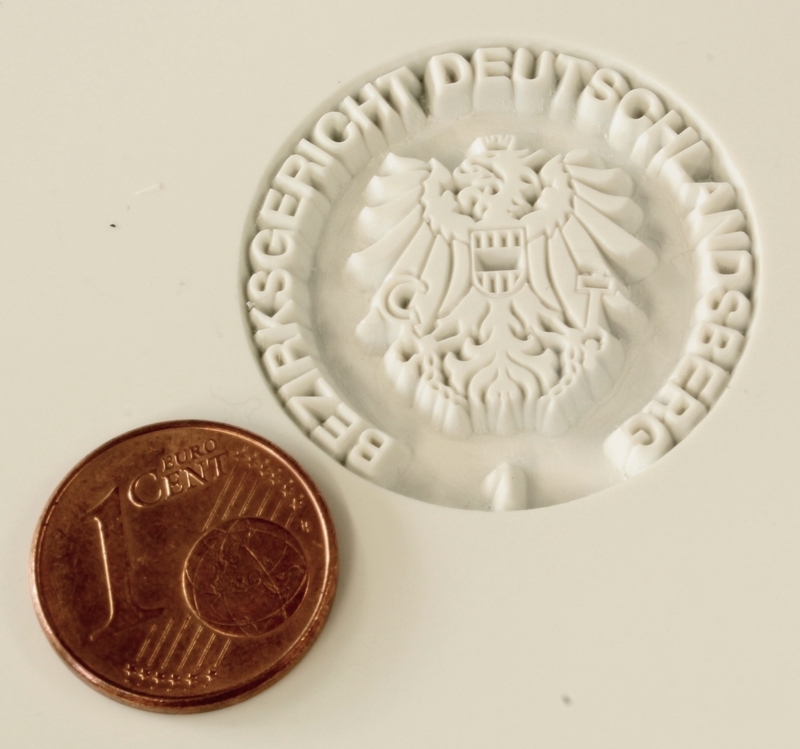 Cenon will place both data-sets to their corresponding layer so that camera gauging and machining are even easier. We have little doubt that an i-mac must be the right choice of computer for cutting i-cut data. Furthermore, we were able to accelerate the speed of camera gauging quite a bit in the new release. 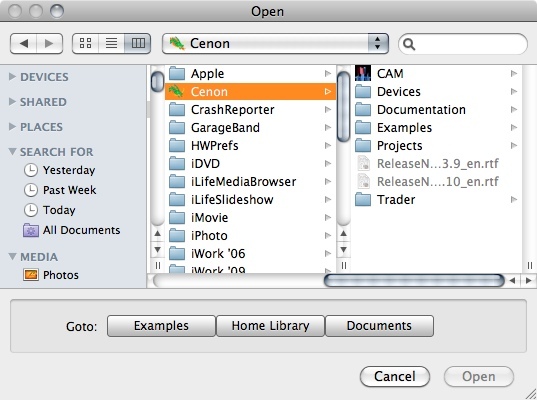 The new version of Cenon can run in 64 Bit. So what exactly is the advantage? 64 bit brings you a higher precicion of many calculation and coordinates. You decide, wheather you start Cenon in 32 or 64 bit mode. All Cenon files stay compatible. Just for the Camera+Targeting you have to live with 32 bit for now, since we are so much ahead of the times that there are no 64 bit camera drivers on the market yet. What's new in Version 4.0 ? 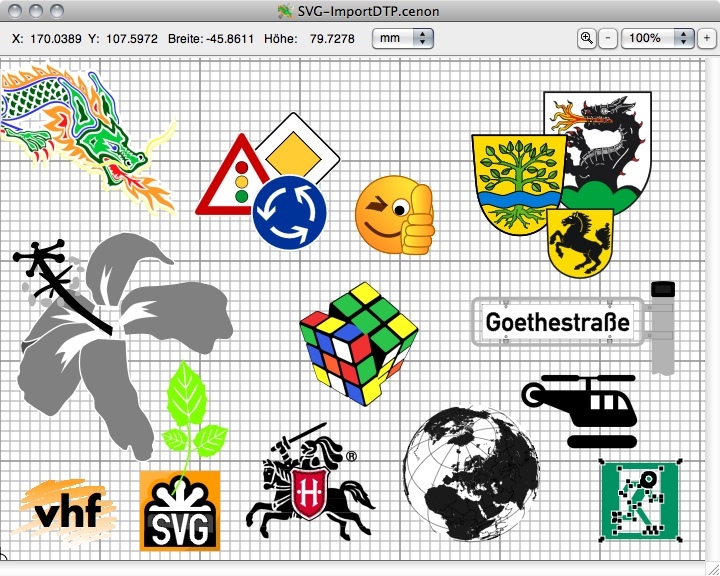 New: Import of Scalable Vector Graphics (SVG). 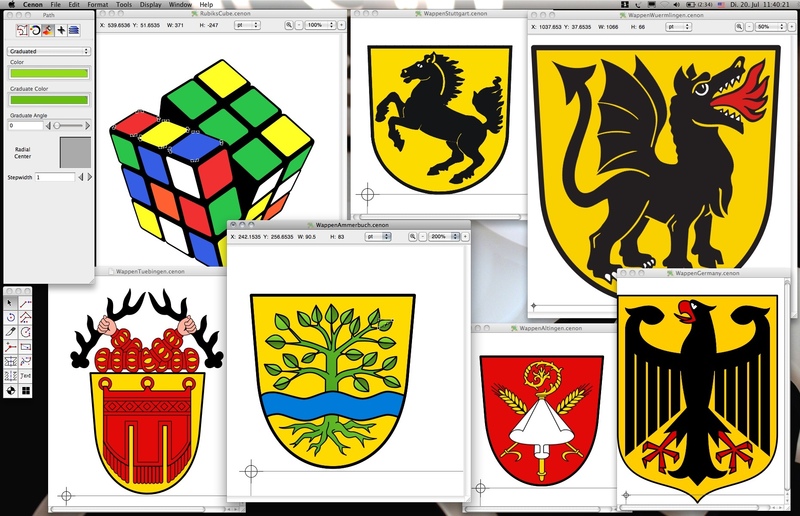 Millions of vector data are readily available on the Internet, Signs, Logos, Crests, Symbols, Icons and more are waiting for download and manufacturing. After often just a few tweaks with Cenon, the graphics is ready for machining. A new Inspector switch "Exclude" allows exclusion of objects from output. This allows placing of instructions or measures on the same layer used for output. Text starting with #COMMAND_BEG#" or "#COMMAND_END#" is interpreted as direct CNC Command. The rest of the string goes as is to the machine. COMMAND_BEG will be send to the machine at the beginning of the layer. COMMAND_END is send to the machine at the end of the layer. New, approach of circle from the center: a thread now allows a pitch of zero degree. This will cut a circle being approached from the center. defined distance before and after sharp corners to improve cutting quality. 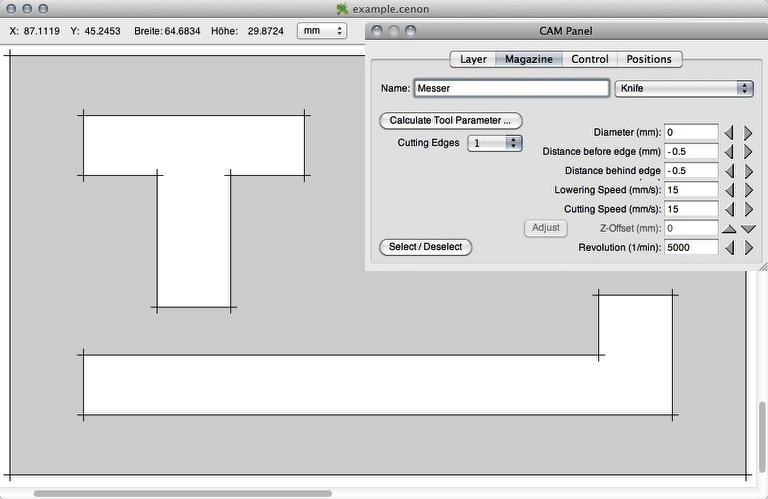 to add the parameters for the distance before and after corners. 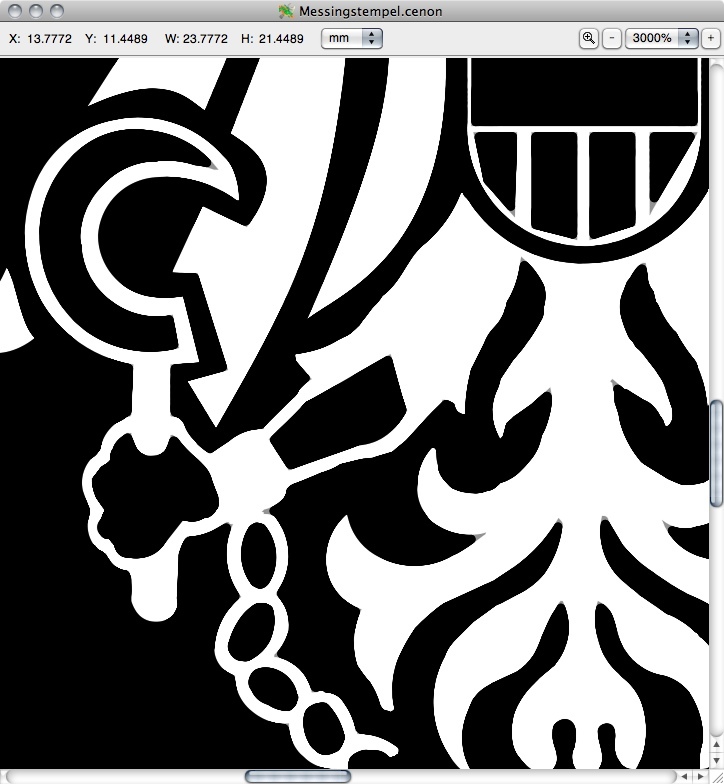 New: Vectorizing Images. 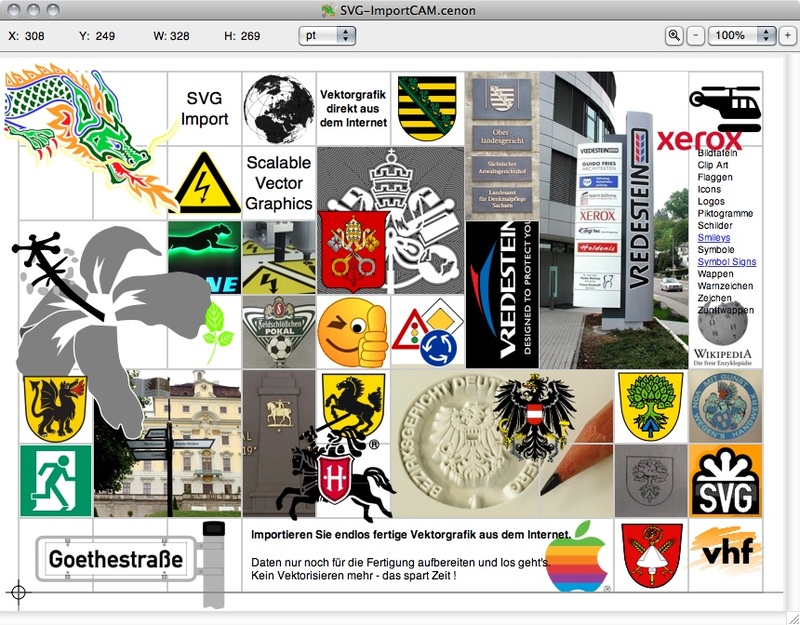 A new menu entry "Tools -> Vectorize Images" opens the new Vectorising Panel. 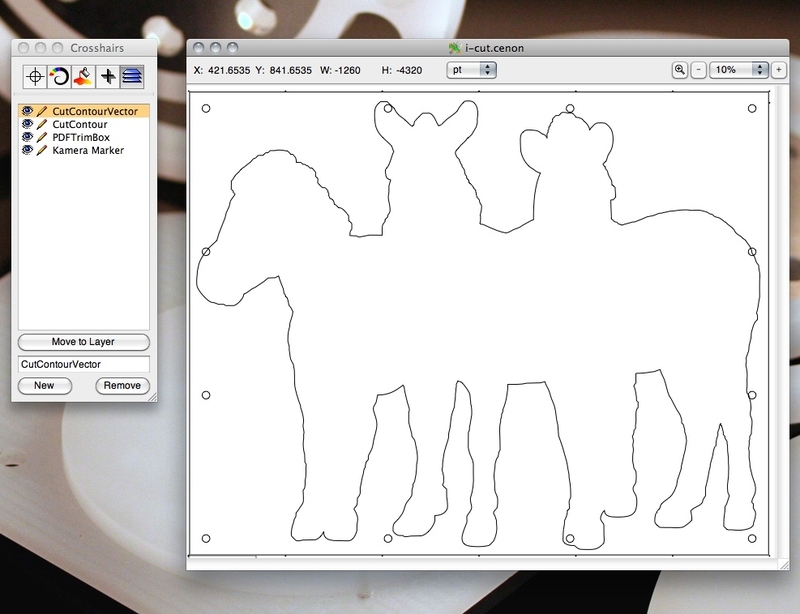 Vectorization of Images to lines and curves is supported. 2. from the menu chose "Edit -> Set Start"
+ optimize direction of open graphic elements. + optimize from one layer to next layer. Import PS: PostScript Operators for character displacement added (xshow, yshow, xyshow). When keeping texts editable (no flatten text), the displacement will be ignored. ...and what it's good for.